ST. CLOUD, France --- The Anglo-French combat drone being jointly developed by BAE Systems and Dassault Aviation could operate either autonomously or as a component of a Future Combat Air System (FCAS) that France and Germany announced they would develop together, according to Dassault CEO Eric Trappier. A lot of the development work being done on the combat drone would also benefit a larger program comprising a manned aircraft, Trappier said. “We are now making technology building-blocks, and the unmanned combat air system (UCAS) is one of the building blocks of a Future Combat Air System which could include a manned fighter as well,” he added. Trappier made these and other remarks during a press conference about the company’s first-half results. “For the long-term, we welcome France and Germany becoming the locomotive for the development of a new manned fighter, and to my knowledge without excluding the United Kingdom,” Trappier said. He however later acknowledged that the UK’s leaving the European Union, and its being a partner and buyer of the F-35 Joint Strike Fighter could complicate matters. From the industry perspective, Trappier also said that he saw no obstacle to Germany joining the UCAV program, if it so wished, and to the UK joining the manned fighter project, but “we must remain effective and competitive: what we need is stability.” Other partners could also join, as well, as long as management authority is clearly defined. “The French and German governments are saying that the time will come to replace the Eurofighter, and the time will come to replace the Rafale….we’ll have to see whether the schedules are the same, and if they are, then France and Germany could decide to develop a new combat aircraft for the long term,” Trapper said. France plans to keep its Rafale in operation until at least the mid-2030s, and Germany has similar plans for its Eurofighter Typhoons. However, Trappier added, developing a combat aircraft has a very significant cost, and European governments might be well-advised to put their money into a European combat aircraft rather than supporting Lockheed Martin. Trappier’s remarks go a long way to clarifying the current state of affairs in European military aviation, where the French-German initiative on a future manned fighter seemed to exclude the UK, especially as it was referred to using the same FCAS acronym that was originally used to define the Anglo-French combat drone. Trappier’s remarks were made during a press conference for the company’s half-year results, which show that the order intake was stable at 1.38 billion euros, while adjusted net sales grew by almost 24% to 2.05 billion euros, and the order backlog dipped slightly to 19.7 billion euros from 20.3 billion euros the previous year. Operating income was stable at 123 million euros (125 million euros in the first half of 2016), as was net income, at 199 million euros compared to 185 million the previous year. For the entire year, the company plans to deliver 45 Falcon business jets and 9 Rafale fighters: 1 to France and 8 to Egypt. This year’s single Rafale for France (also the first Rafale M upgraded to F3 standard) was delivered during the first half, bringing total French deliveries to 149 aircraft out of 180 on order. Current plans call for 3 more deliveries in 2018, none in 2019 and 2020, with deliveries resuming in 2021 for the remaining 28 aircraft at a rate to be determined. France has a requirement for 240 Rafales, but it is unclear when the new orders will be awarded, especially as the new government has launched a review of defense plans that will determine the goals and the funding level of the new multiyear defense plan (Loi de Programmation Militaire, LPM). In parallel, Dassault is continuing development work on the Rafale’s F3-R standard, which includes the Meteor missile; the fourth and final Meteor firing for this standard was carried out during the first half. Dassault would also like to launch the next Rafale version, the F4 standard, as soon as possible. 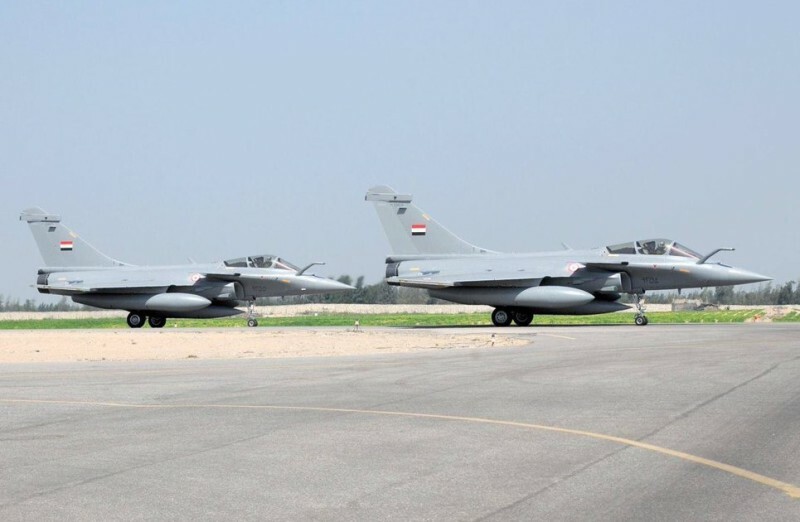 In addition to the three Rafales delivered to Egypt during the first half, two more were delivered in July, bringing Egypt’s total to 11, with three more to follow in the second half. 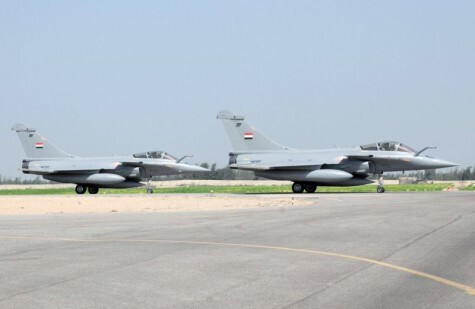 Egypt has ordered 24 Rafales to date, with an option on another 12. “The Tornado is a strike aircraft. Can the Typhoon replace the Tornado? It’s not for me to say, but apparently there are certain problems,” he said. The French Directorate-General of Armaments (DGA) carried out a series of tests to measure the radar signature of the Neuron UCAS demonstrator during the first half of the year, which Trapper said went well. Dassault is now negotiating a contract for a new phase of flight trials during the second half of this year. Dassault, together with BAE Systems, Leonardo UK, Thales, Rolls-Royce and Safran are continuing work on the definition phase of the UCAS demonstrator launched under the Anglo-French Future Combat Air System in 2015. This program is valued at 2 billion euros. The feasibility phase has been extended until the end of the year, and the industry partners are working on a proposal to launch development of an “operational demonstrator” by the end of 2017. To date, Germany has not expressed any interest in joining this project. Airbus Defence & Space, Dassault Aviation and Leonardo are also continuing work on the definition study of a Medium Altitude, Long Endurance (MALE) Remotely-Piloted Aircraft System (RPAS) previously known as EuroMALE. This work is funded under a contract awarded in 2016 by OCCAR on behalf of the French, German, Italian and Spanish Ministries of Defense, with the aim of presenting an offer for the launch of the development program in 2018. The most recent development on this program was the decision to opt for two engines to meet Germany’s stringent regulations, announced during the French-German Defence Council meeting on July 13, but Trappier said no decision has yet been made on whether the engines will be turboprops or jets. The four partners aim for this program to be the first to be partly funded by the European Union’s new defense fund, which is being set up by the European Commission and which will be debated by the European Parliament in September. The fund, if approved, will be authorized to finance up to 20% of new, joint European programs. Germany and Airbus have been designated to lead this project, and “We have no problem with this at all,” Trappier said, adding that several Dassault engineers have moved to Germany with their families to work on the program. Dassault is working on the development of a Rafale standard for India, which has ordered 36 so far, and is has also answered a Request for Information to supply 57 naval fighters to the Indian Navy. In addition, Trappier believes that the company can win new orders given India’s requirement for several hundred modern fighters. However, and even if he said “the more India flies the Rafale, the more it will want,” Trappier is aware that the pre-condition for new orders is conforming to the “Make in India” policy. This is why Dassault and the Indian Reliance group in February established a joint venture company in Nagpur, in central India. Dassault Reliance Aerospace Ltd. (DRAL) is 51% owned by Reliance and 49% by Dassault, and has an Indian CEO and a French industrial director. DRAL is intended to allow Dassault to meet its offset obligations in respect of the Rafale contract, to build on this contract to win more business, and to improve its competitiveness by making parts for the Falcon 2000 in India as well as some Rafale sub-assemblies. The joint venture has already begun to build its facilities and to hire and train personnel, and plans a progressive ramp-up over the next five years.